Ever heard of Brian Dean? He’s an online marketer, founder of BackLinko, and a top expert in his field (SEO) despite having written only 30 articles. Within those 30 articles he has a few promising marketing strategies, from the Skyscraper Technique and guestographics to the one we’ll be discussing today: content upgrades. Like with any of these huge improvement strategies, we were a bit skeptical. Want to know the weirdest thing though? It did the exact same thing for us. Brian Dean improved his blog article conversion rates by 785%. We improved ours by 1,650%. 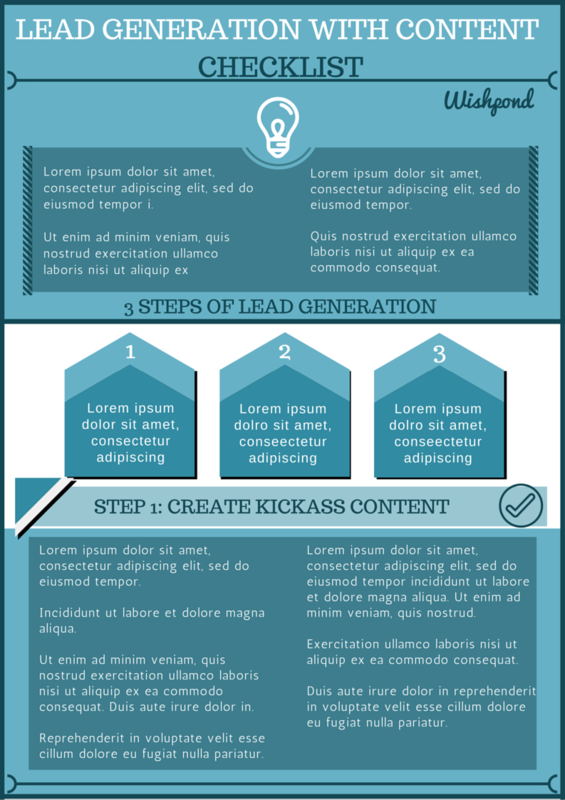 Give you a simple blueprint for nurturing content-upgrade leads into customers. A content upgrade is a lead generating incentive created to be given away on an individual blog post in return for a visitor’s email address. How is it different from what we’ve been doing? 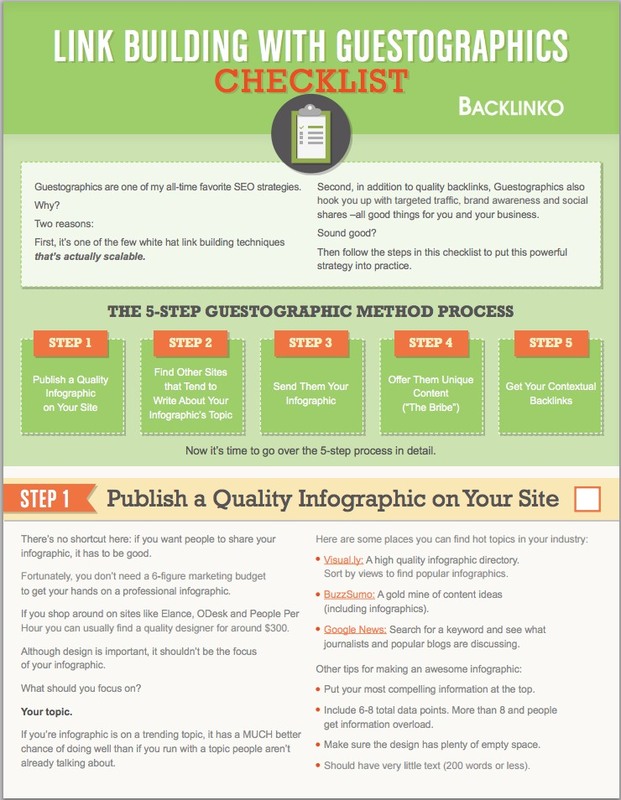 For the past several years, we’ve been creating comprehensive ebooks on subjects related to our tools: online promotions, landing pages, website popups, etc. 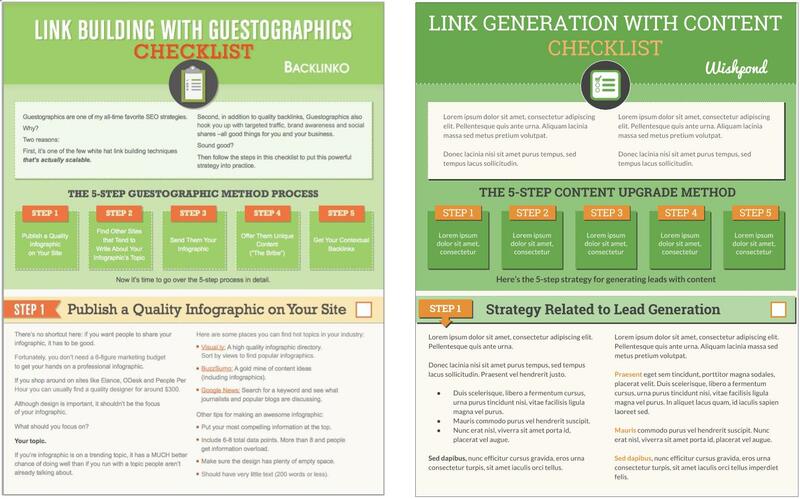 We’d email gate these downloadable PDFs and create a linked banner image to send readers to the landing pages. None of this should be surprising you. This was, for a long time, just how it was done. 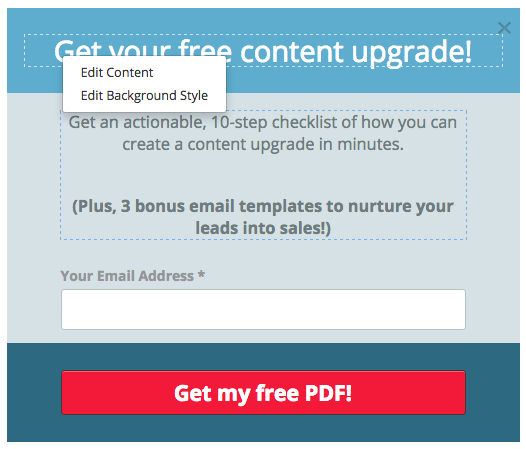 So why exactly is this new strategy better than traditional opt-in CTA banners? It’s Hyper-Valuable: It adds value to the existing content, and is exclusive to that content. These elements combine to create a opt-in call-to-action which, for us, is converting well over 3x as well as subject-focused ebooks. 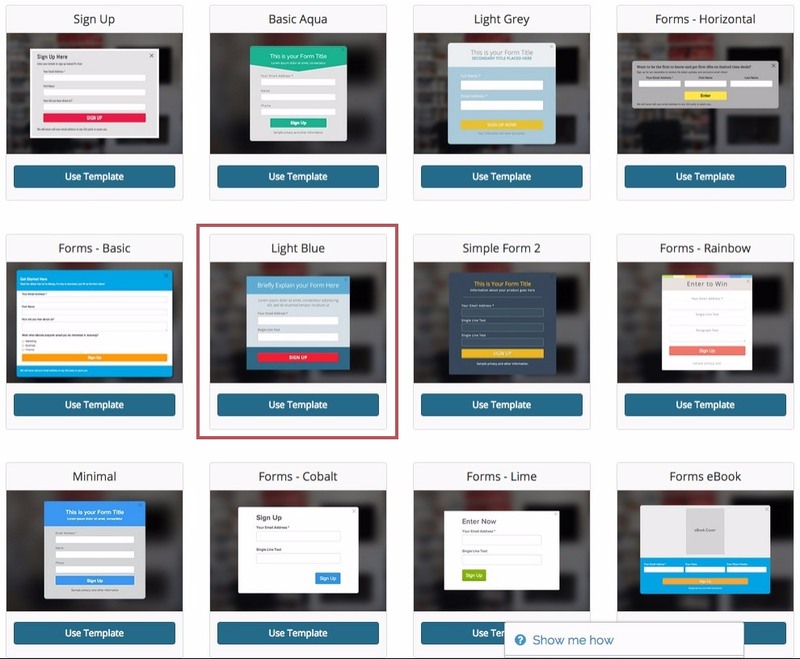 Why are we using a click popup instead of sending visitors to a separate landing page? 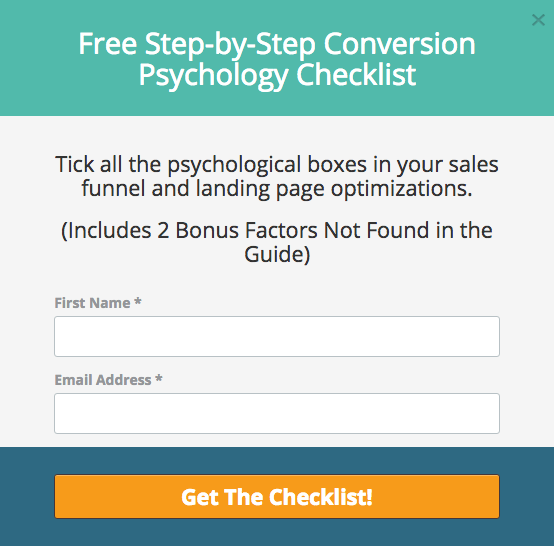 Popups are simpler and even more conversion-focused than a landing page. Popups create a one-page conversion process, so no new tab is opened. Popups keep the reader in the article, so they can convert and then keep getting value. We’ve implemented content upgrades in a few of our longer-form articles. Currently those pages are converting, on average, 3.57% of their visitors into blog subscribers. Note: None of our numbers are statistically significant quite yet, but we're so confident they're going to be we couldn't wait to share. 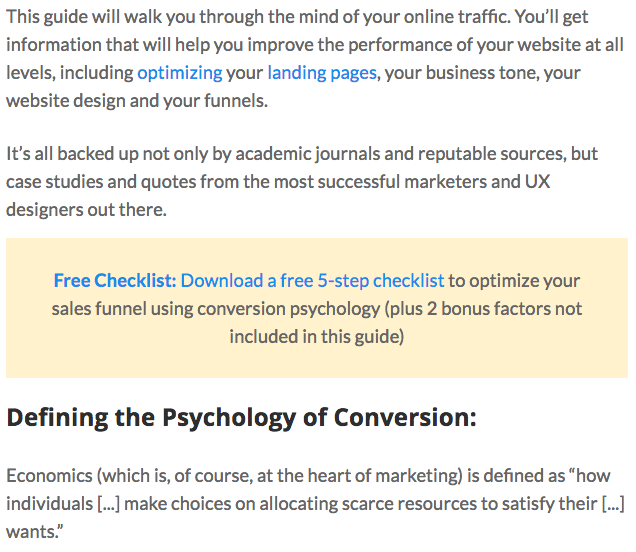 The content upgrade within "The Complete Guide to the Psychology of Conversion Optimization" is converting at 3.05%. 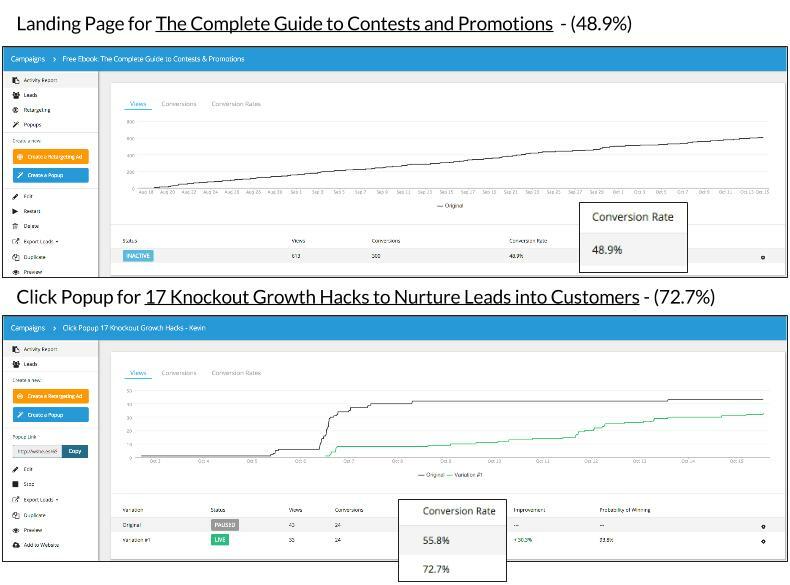 The content upgrade within "17 Knockout Growth Hacks to Nurture Leads into Customers" is converting at 6.19%. If we average the conversion rates of our two content-upgraded articles, we’re seeing a 1,650% increase over our norm. We have a number of articles on our blog that are not monetized as well as they could be. This is lowering our average post value pretty significantly and is something we’re working to improve. So let’s be conservative (because honestly 1,650% is just ridiculous). Let’s take a look at an article we published within the past year which we previously considered to be well-monetized. 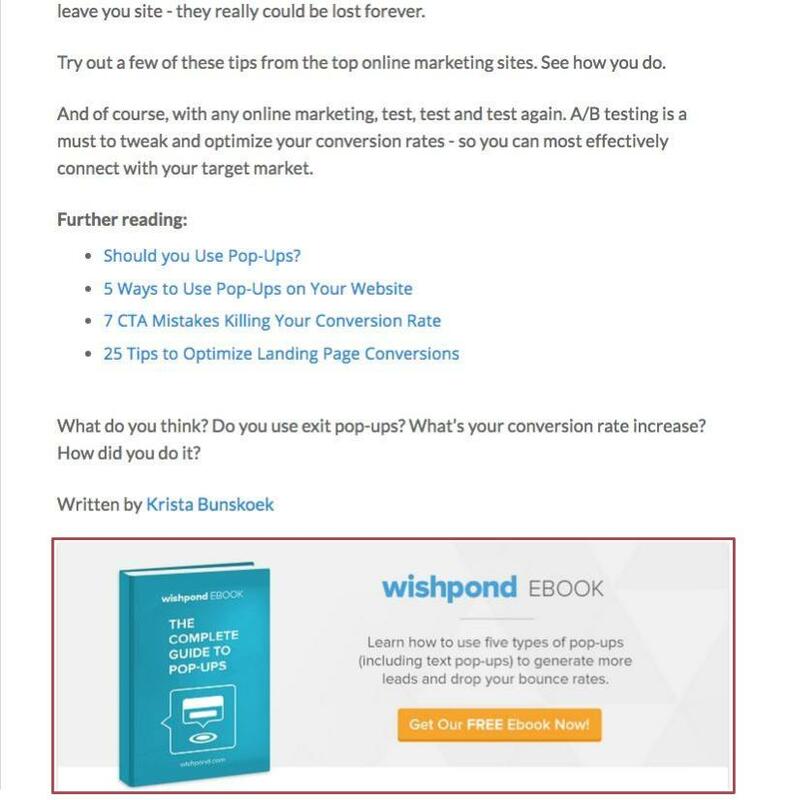 Here’s the existing opt-in incentive within the article, "5 Exit Popups You Need to Know About:"
This article’s lead-gen device is a CTA banner for a relevant ebook at the bottom (traditional best-practice). It’s currently converting at .62%. Our content upgrade articles, though, are still converting visitors 575% better than an article we thought was doing really well for us. They say good artists copy and great artists cheat, so let’s be great. Honestly, cheating is how I, (as a non-designer/non-creative) make visual content that competes with the stuff pumped out by a 20-year design veteran with a waxed mustache and plaid pants. Are there companies you recognize as being top of the visual content world? Companies who create beautiful designs again and again, seemingly effortlessly? It's good. It’s simple, appealing and professional. Now you have a couple options here: Canva or Google Drawing. Both will give you a great result and both are free. Use that inspirational design as a template. Draw over each object and make it look as close to the original as possible. This gives you a solid foundation from which to develop your own creative spin. 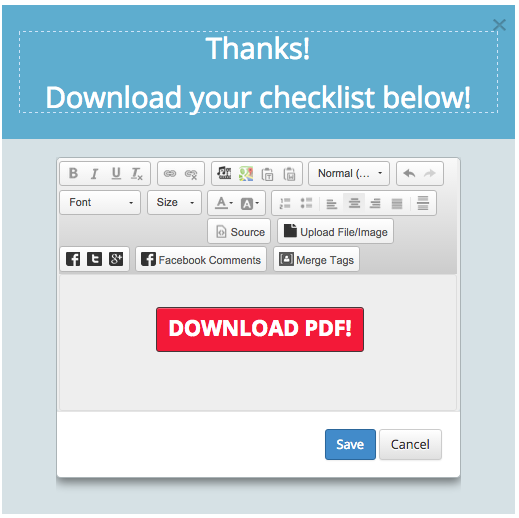 Next, simply upload your PDF into Wordpress. You’ll need the URL in a minute. 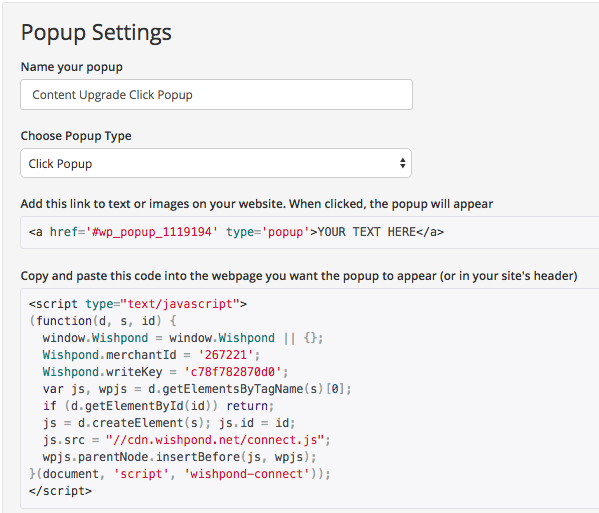 Basically, I use Wishpond’s popup builder. Even if I didn’t work here I’d genuinely try it out at the very least. Click on “post-entry” in the top right and write some brief copy to appear after a reader has converted. 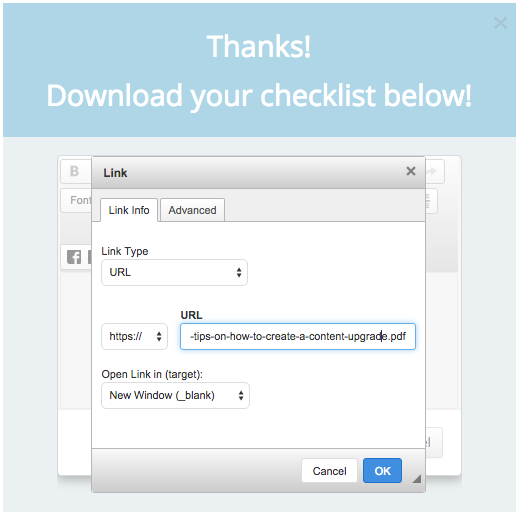 Double-click the CTA button and paste in the URL of your content upgrade PDF. 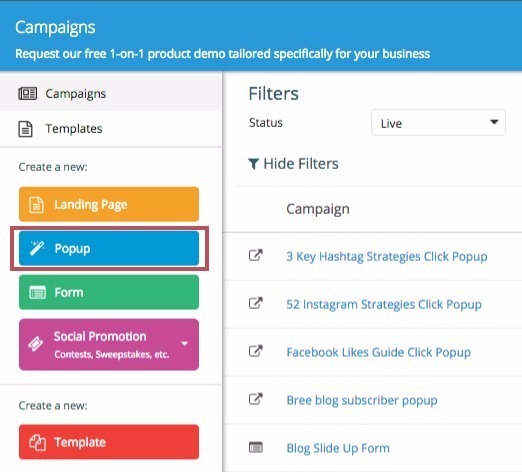 Title your popup so you’ll recognize it in your dashboard and then copy the longer code into the page you want your popup to appear. Copy the link code for your popup, and place it in your article as the builder suggests. Content upgrades are working for us. They can do the same for you. Yes, they’re an investment of time beyond what you’ve been doing with email-gated content, but the return is worth it (about 600% better than average). My advice to you would be to find your highest traffic article (Google Analytics will do this pretty easily under “Behavior” on the left side), create a content upgrade for it, and add it to the existing article. There’s no point in spending a bunch of time and energy creating a unique content upgrade if the article it’s in isn’t getting much traffic. Do you think content upgrades would work within your content strategy? Get the conversation started below.